Enjoy a mini cruise break to one of the best gardens in the world, Keukenhof near Amsterdam. This deal has expired but there are still great prices available. Click here to find out more. 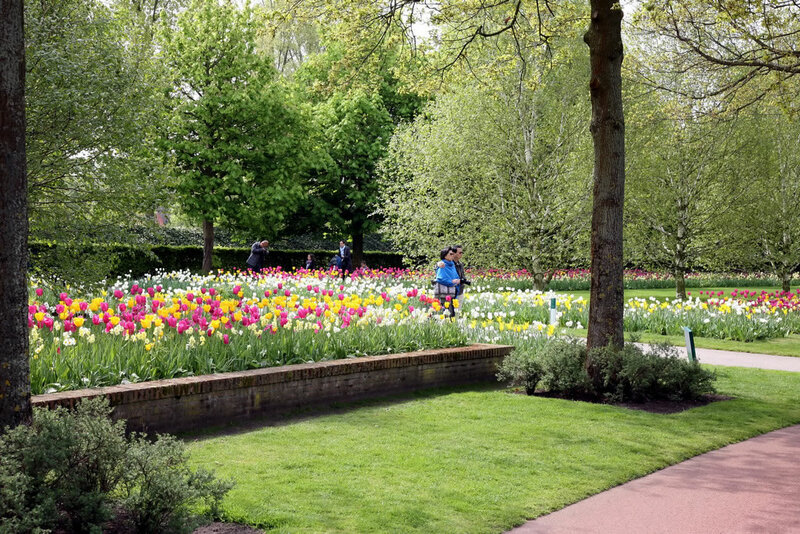 A holiday to the famous Keukenhof Gardens is a perfect escape for budding horticulturists as well as families and couples looking for a relaxing getaway. DFDS offers mini cruises to the Keukenhof Gardens usually between March and May to coincide with the peak growing season which is when you can see the most amazing displays. Your sailing departs Newcastle in the afternoon giving you a chance to explore your ship and floating hotel for the night. There is a range of dining options available and plenty of entertainment on-board to keep you and your family busy. Choose from a selection of affordable cabins to sleep in overnight. The ferry docks in Amsterdam early the next morning where a coach will take you the 20 miles or so to the Keukenhof Gardens in Lisse where you can spend most of the day. The Keukenhof Gardens are the most popular gardens in Holland for good reason. 32 hectares have been spectacularly landscaped, featuring over 4.5 million tulips in 100 varieties amongst others! It is the largest bulb flower park in the world and is also the most photographed place in the world according to the Garden themselves. There are 9 miles of footpaths lined with over 7 million bulbs and 2,500 trees in 87 varieties! There are plenty of restaurants on-site for when you fancy a break and there's a large scale children's play area to keep the little ones happy! Late in the afternoon a coach transfer takes you back to Ijmuiden where you will catch the return overnight sailing back to Newcastle, docking early the next day. Keukenhof Gardens Mini Cruises sail during March and May from Newcastle. This deal has expired but there are still great prices available. Click here to find out more. If you think the deal is back on again please let me know and I'll let everyone else know the good news. Don't worry, this deal may have expired but you can still book great value travel at online rates.